Want to know more about studying dance at UCI? Here are answers to some questions commonly asked by prospective students. Please refer to the current UCI Catalogue for complete program details and admission requirements. What degree will I receive on graduation? What scholarships and financial aid are available? How many students are in the dance department? What is the ratio of male/female undergraduate students in the Dance Department? What is the size of a typical dance class? What is the percentage of UCI students living on campus? Q: What degree will I receive on graduation? A: In their freshman year at UCI, all dance students work toward the Bachelor of Arts (B.A.) degree. In their sophmore year, students who want more intensive preparation for careers as performers and choreographers can opt for the degree of Bachelor of Fine Arts (B.F.A.) with a specialization in Performance or Choreography. Admission to the B.F.A. program in Choreography is by faculty approval only. The B.F.A. program in Performance does not require additional faculty approval; students should declare their intention for this specialization during spring quarter of their sophmore year. Q: What are the degree requirements? A: The UCI breadth (general education) requirement includes the following course areas: Writing, Natural Sciences, Social/Behavioral Sciences, Humanistic Inquiry, Math/Symbolic Systems, Language Other Than English, Multicultural Studies and International/Global Issues. 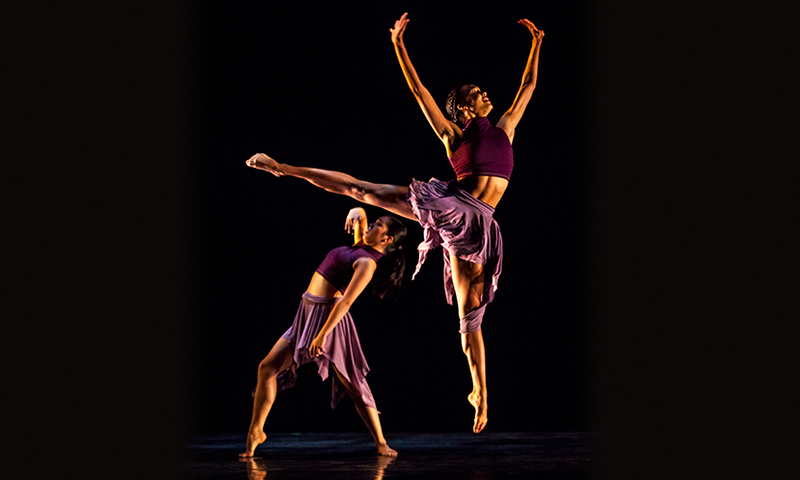 The Dance degree requirements include Dance Health and Injury Prevention, Kinesiology, Music for Dancers, Choreography, Dance History, Laban Studies, Dance and Video Technology, and Critical Issues in Dance, in addition to Dance techniques and performances. Consult the UCI Dance Program catalogue listings for a complete list of dance courses. A: Yes, we have many Dance majors (approximately 15%) who graduate with a degree in Dance combined with a degree in another discipline. Visit the UCI Undergraduate Majors and Minors page to find out more about the major and minor programs that are available to you. A: Visit the UCI University Registrar page for current tuition rates. Q: What scholarships and financial aid are available? A: Incoming undergraduate students compete with all other majors on campus for academic-merit scholarships, such as Regents Scholarships and Chancellor's Achievement Scholarships. The selection criteria are based on high school or college grade point average and SAT I and II scores reported on the application forms. Additional scholarships reserved for Dance majors are awarded after students have enrolled at UCI and have demonstrated their strong ability in academic courses and in performances. Visit the UCI Financial Aid and Scholarships page for more information. Q: How many students are in the Dance department? A: Currently there are 160 undergraduate students and 24 graduate students in the Dance Department. Q: What is the ratio of male/female students in the Dance Department? A: Approximately 10% of our dance students are male. Q: What is the size of a typical dance class? A: Our Dance technique classes typically range between 15 to 45 students. Other dance lecture courses may have up 50 students. Q: What is the percentage of UCI students living on campus? A: About a third of UCI undergraduate students live on campus. Visit the UCI Housing page for more information about living on campus.